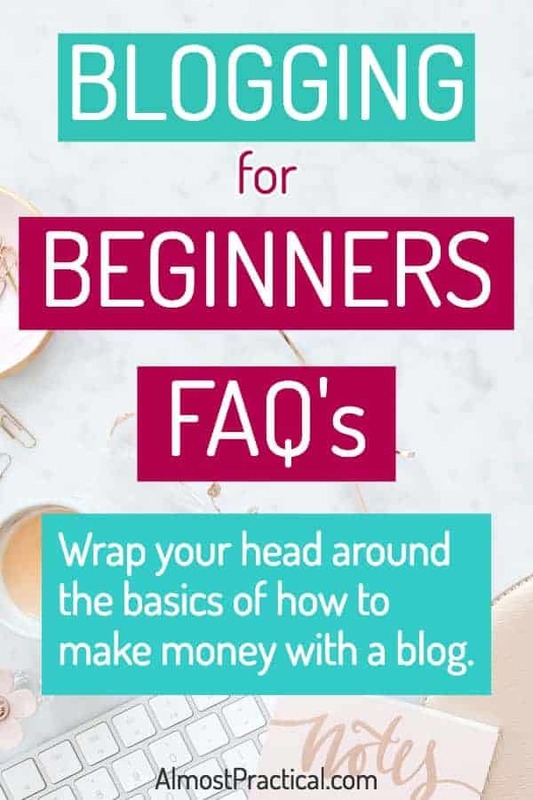 I am writing this Blogging for Beginners FAQ's because starting a blog as a business is not an easy thing to do. If you are not familiar with the blogging world, it can be hard to wrap your head around how it all works and how bloggers make money doing what they do. A blog is a collection of articles that show up on a website in chronological order. The lines between blogs and websites have blurred over the years. Platforms like WordPress or Squarespace allow you to have both – static pages and blog pages. 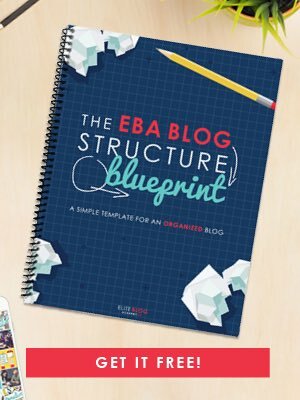 A static page is a stand alone piece of content whereas a blog post is an article that shows up on a blog page and can also be organized by categories and tags. A website can consist of several pages – Home, About, Contact, and also a Blog Page (which contains all of the blog posts). What people find confusing is that each post is also a standalone page – when you click the headline on a post, you are usually taken to a webpage that has all the content for that post only. The biggest difference is really on the backend. The blogger can either write a post or page in their blogging platform. If they create a post, it will also appear in the chronological list of posts on their blog page. If they create a standalone page – it will not appear in the rolling list on a blog page. More about this: What is the difference between a blog and a website? No matter what your age, a blog is a great way to start a side hustle and make money from home. Blogging is not just for millennials and computer savvy individuals. I, myself, am in a completely different stage of life. I have four children – my oldest is in his early twenties and my youngest is a teenager. For me, paying for four college educations is a reality right now – and retirement is looming ahead. Even though I don't make a full-time income from my blog yet, the income that I do make is helpful. Money, of course, should not be your only reason for blogging but should be a goal. More about this: Why owning a website is better than social media. Do I need strong technical skills to be a blogger? In a nutshell, yes you do but no you don't. But if you are not strong technically – it is NOT a deal breaker. What you really need to start a successful blog is a willingness to learn. Technology can be intimidating – especially to people of, ahem – a certain age like me, who weren't raised with it. But the reality is that the world is run by technology. You can either sit in the dark ages and let it pass you by or you can jump in and learn as you go. The technical skills that you learn through blogging will help you in every other aspect of your life. Blogging platforms are so much easier to use than ever before. work with digital images – resizing, cropping, adding text overlays etc. If you have a specialized skill or passion – that is a good place to start. There are tons of brainstorming activities that you can do to narrow down the scope of your website. But if you plan to make money from your website – you should evaluate how monetizable your topic is. Are people looking for the information that you write about? Are people willing to pay for information, products, and services that are related to the topic that you blog about? Should I Start More Than One Blog? How much money can I make with my blog? This is the million dollar question – and some bloggers actually do make millions of dollars. When I am talking about blogging here, I am talking about traditional blogging. This means writing articles on your blog about a particular topic, that appeal to your readers. I am not talking about “internet marketing” – meaning doing webinars, or summits, or any myriad of other internet marketing techniques. Yes, you might end up using these techniques to build traffic to your blog – but actual blogging is what I cover here. So getting back to the original question – I have found that in the beginning, the answer depends on website traffic. It is quite logical. People need to come to your website and interact with your links, your content, your advertising etc. You can have the greatest site in the world – but if no one shows up, then no one is buying and no one is clicking. Make sense? How much website traffic do I need to make money? There is no standard answer to this. It depends on the value of what you offer and what your commissions or profit margins are. However, as a rule of thumb for an “average” blogger – I would say you need at least 10,000 pageviews per month to start seeing some regular monthly income – probably under $1,000 per month at this traffic level. As you get closer to 30,000 pageviews per month you will see good traction and also be able to partner with some ad networks. How long does it take to get traffic? Just like an offline business, people want to know that you are the real deal before they start to trust. Building that trust takes time. The best path is to show up every day and do your job, consistently. Because it takes so long to establish yourself, you should start a blog when you don't necessarily need a steady income from it. Start your blog on the side when you are staying home with your kids, or while you still have a full-time job that pays the bills. How much time does blogging take on a weekly basis? If you want to create a business from your blog, you need to work it. You need time to plan (use an editorial calendar), create content, create graphics, share your work, and build relationships. At a minimum, you need to set aside 10 hours per week. But honestly, you really need to put in more time than that. The more time you put in, the more you get out. “Work smarter not harder” works for here, too – but blogging for beginners is different. You need to put in the time up front so you spread your brand and your name. People will tell you that blogging is one of the cheapest businesses to start. You don't have rent to pay or furniture to buy. But blogging is not free by any means. On WordPress, you will need to buy a hosting plan and a WordPress theme. On Squarespace you will pay the monthly fee. This is at a minimum. You may not need to get everything at once, but as your blog grows you will start to assess your needs. Here is a summary of some of the more common blogging costs. Please educate yourself on the differences before you start. First, know that there is a difference between self-hosted WordPress.org and WordPress.com. They are not the same thing! By far, self-hosted WordPress offers you the most flexibility by way of plugins – but you have to do regular maintenance, or at least be familiar with what needs to be done. If you are looking for cheapWordPress hosting – my favorite hosting by far is Bluehost. While self-hosted WordPress is by far my favorite blogging platform, I recognize that WordPress is not for everyone. When it comes to blogging for beginners, a decent option for those that don't want to go the WordPress route is Squarespace. Keep in mind that it is not as flexible as self hosted WordPress, but all of the behind the scenes work is managed by Squarespace itself. So you can focus on creating content. I have a few clients on Squarespace and my advice was – if the complexity of WordPress is keeping you from blogging at all, then just use Squarespace and get started. However, I do feel that Squarespace is a better choice for brick and mortar business as opposed to people that want to make their blog their business. A third option that is generally more costly than a shared hosting account is managed WordPress. This is still considered self-hosted (NOT WordPress.com) but the hosting company actually maintains all of the updates to your WordPress platform. I use BigScoots managed WordPress hosting for this site and I have been very happy with them. How do I get started blogging – what do I do first? Well, I hope that I have answered many of your questions about the world of blogging. Blogging takes time but it can be both rewarding and lucrative. If you still have questions about starting a blog – please do ask in the comments below. how do edit or customize the template so that i can have my own images instead of those sliding cartoon images. Unfortunately, I am not at all familiar with the Blogger platform. But if you have a custom theme, the best option is to reach out to the developer.